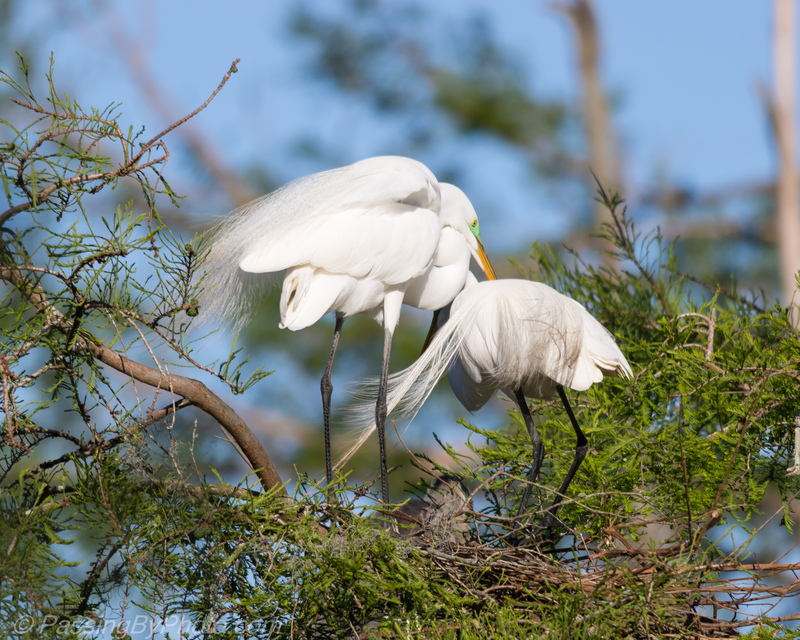 I featured this Great Egret nest as the pair was starting to build. They had made some progress about 10 days later. 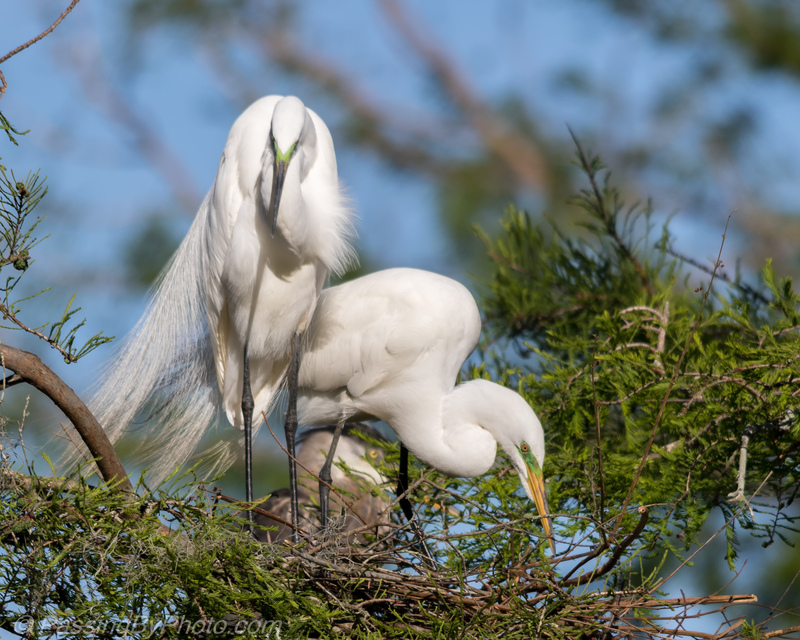 Look between the Great Egrets’ legs for a peek at one of the Great Blue Heron chicks in his nest. From a different angle you can see how close together these nests are. 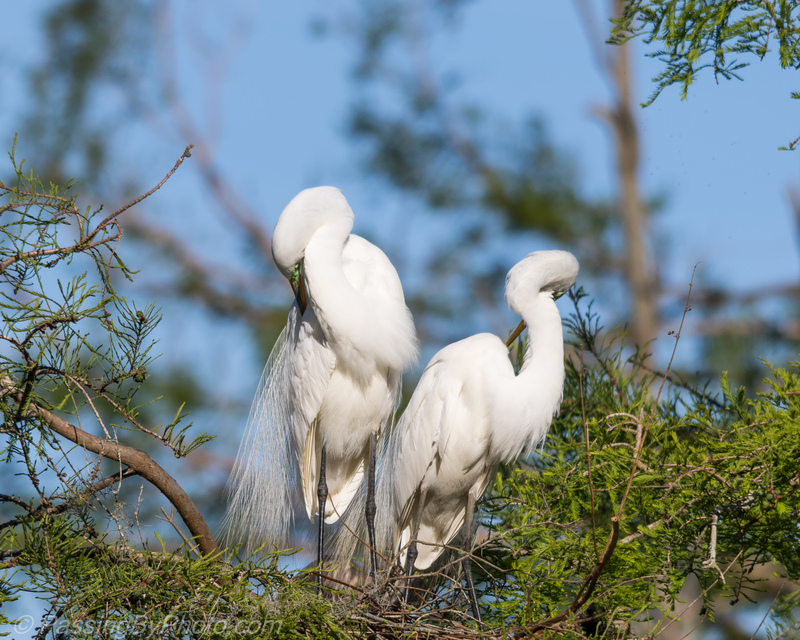 On this day there was one Great Blue Heron nest, three Great Egret nests and one Anhinga nest. 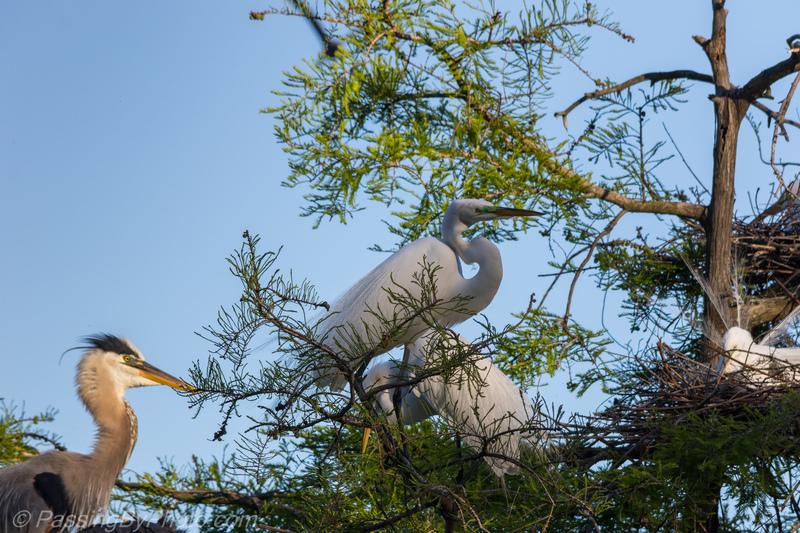 The Anhinga nest has since either failed or was raided and is no longer there. Photos taken 4/10/2017, Charleston, SC. Thanks, Belinda! I’m not sure–safety in numbers maybe? They do prefer trees surrounded by water to keep raccoons and similar raiders from getting to their nests. Of course that means alligators patrol the water looking for opportunities. We’ve been told of alligators snatching babies out of low nests. I hope not to see that!